Long Lake is gearing up to host the first Antique and Classic Boat Show on Saturday, July 10th, 2010 at the Long Lake Waterfront from 10am – 5pm. 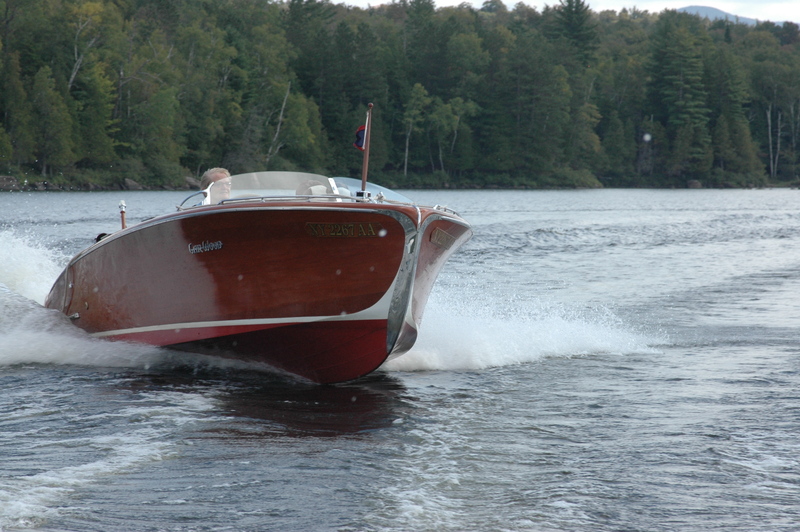 With so many antique and classic wooden boats hiding along the shorelines of Long Lake a group of passionate Wooden Boat Afficionado’s have decided to showcase these stylish, beautiful, restored treasures of yesteryear. Organizer’s have scoped out a diverse group of boats including: an original 1945 Garwood, having only graced the waters of Long Lake, a 1949 Chriscraft and a 1958 Speedster. These are just a sampling of the few boats slated to be on display. Other boats on the lake that will hopefully be on scene include Chris Craft’s from 1924, 1962, 1947 as well as original handcrafted guideboats. Always a crowd pleaser, look for a miniature Tug Boat moving about during the day. The day’s festivities kick off at 10am and run until 5pm with a Boat Parade “at speed” leaving the town beach at 4pm. A cocktail reception and cash bar will be held at the Adirondack Hotel at 5pm and a trophy will be awarded to “Spectator’s Choice” by fans visiting and touring the boats. Have you heard about trout? Long Lake is sport a fantabulous weather report for this first weekend in April. This is the time to experience Long Lake. It’s quiet, tranquil, the ice hasn’t completely disappeared, its simply amazing to stand at the LL town beach knowing in a few short months it will be packed with people. One side is blissfullly open water, while the pond, right across the street still boasts a thin sheet of ice. How, in this blissful heat could that be possible? Just the way the current runs. Long Lake Marina had one tin motorboat in the water today and I saw another lined up on the trailer. The sun comes out, its like a whole new world has opened up. Trout season opened today. Surely if one was to venture into Sargent’s Ponds one would discover vigilant fisherman with their fly’s and waders storing various supplies in a lean-to, settling down for a nice woodsman experience. Of course there are limits to how many fish one can catch per day. But the peace without the bugs is simply too indulgent to ignore. Soon enough they will be here, but time to come up to the mountains and enjoy before they swarm. Yeah the crazy month of March has gone buh bye! Step right up, because Spring has sprung and the snow and ice are a fading memory!